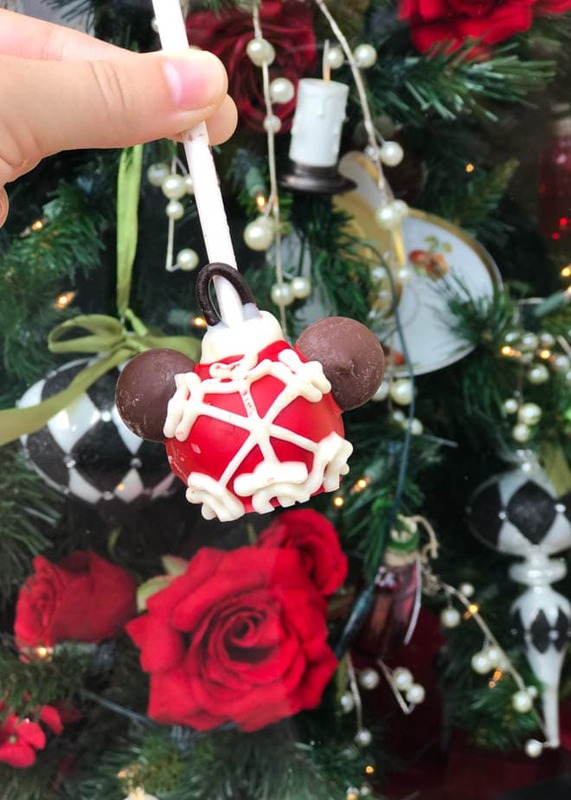 Mickey’s Very Merry Christmas Party at Walt Disney World’s Magic Kingdom Park is a must every holiday season! 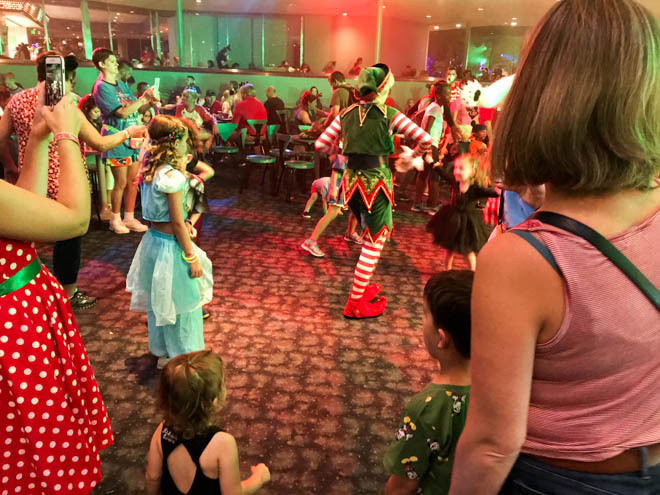 The party is a fun way to experience the holidays with delectable party food, unique themed attractions, holiday Wishes fireworks and more. To say we LOVE the holiday parties at Walt Disney World is an understatement. If you follow me on Instagram stories, you already know that we frequently visit Walt Disney World and know the ins and outs of all of the parks. 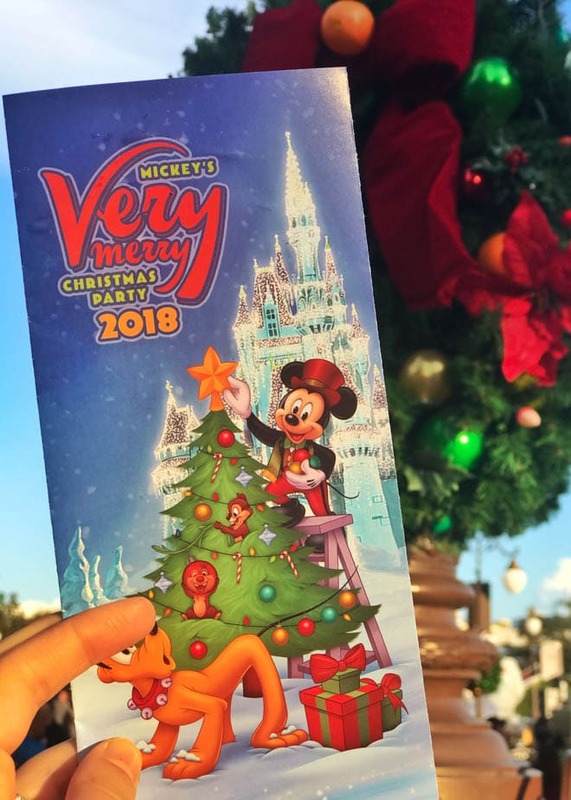 Mickey’s Very Merry Christmas Party began on November 8th and ends on December 21st. 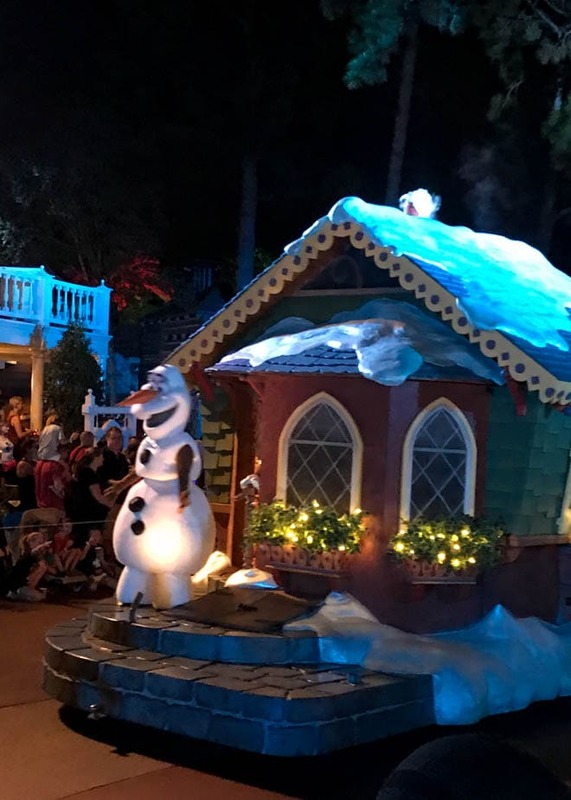 If you are already planning a visit to Walt Disney World this holiday season than you must add the party to your itinerary. And if you don’t have a visit planned yet, then you must plan a visit to attend the party. 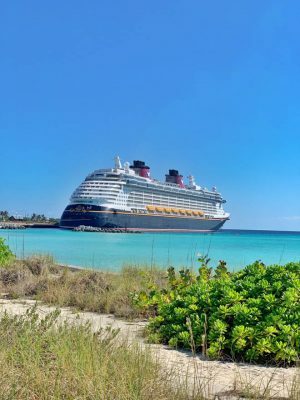 It’s well worth a special visit to Walt Disney World Resort. 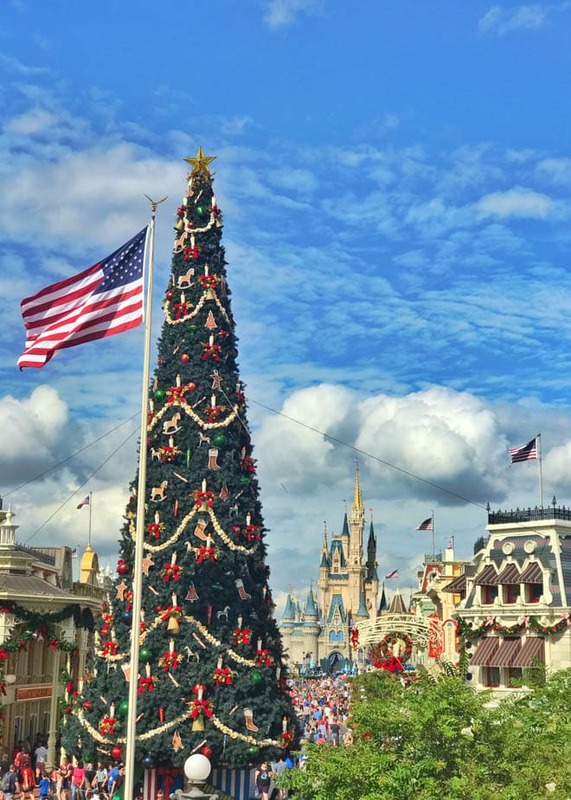 The holidays are a special time at Walt Disney World Resort. As annual passholders, we are always looking for fun new and unique experiences. 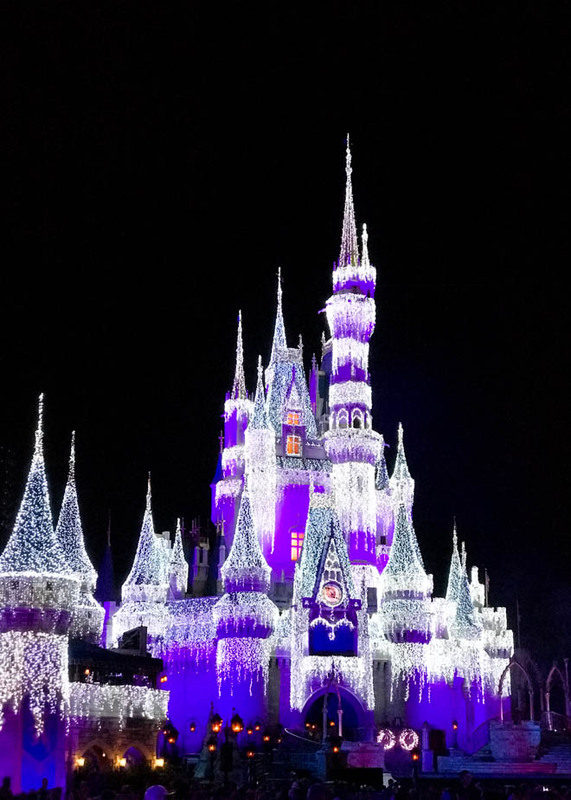 The Christmas party is a great way to experience a bit of Disney magic during the holiday season. The party is great for all ages as there is something to do for everyone! 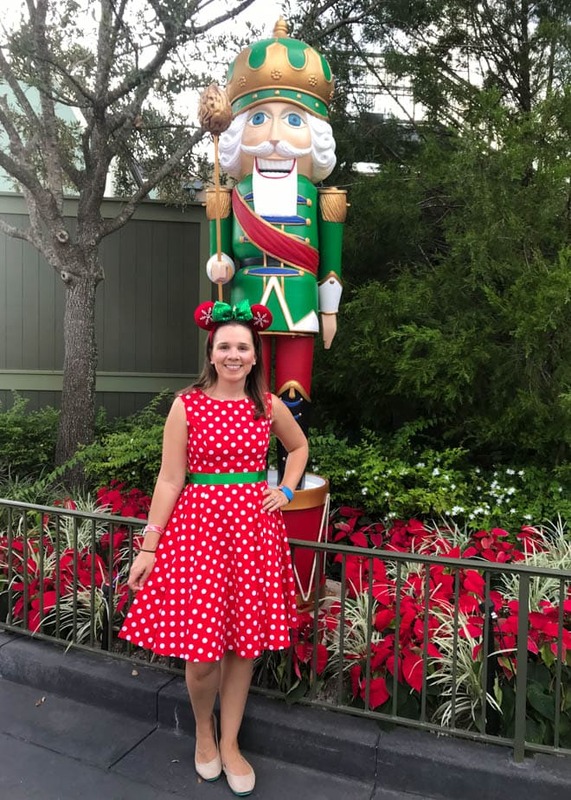 I absolutely love seeing the joy on my daughters face when she sees all of her favorite Disney characters dressed up in their holiday attire. Seeing Santa is always a plus too! Before you go to the party, download the event guide. 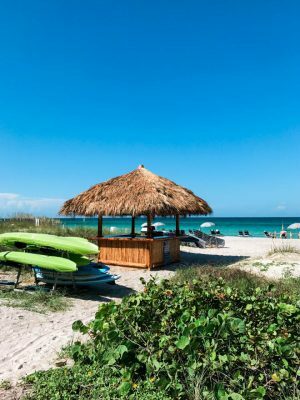 The guide lists all of the event highlights including entertainment, merchandise, holiday treats, speciality foods, attractions and dining. Take special note of the hours of certain activities so you don’t miss them during the party. 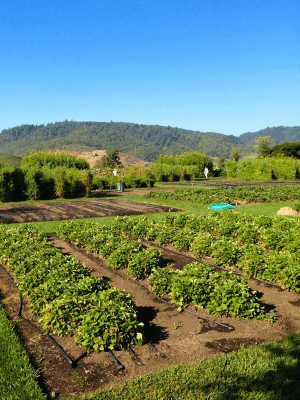 Hours are limited for certain activities and food items. Almost all of the activities are exclusive to the party, with additional party exclusive merchandise and speciality food offerings as well. Click here for full event details. 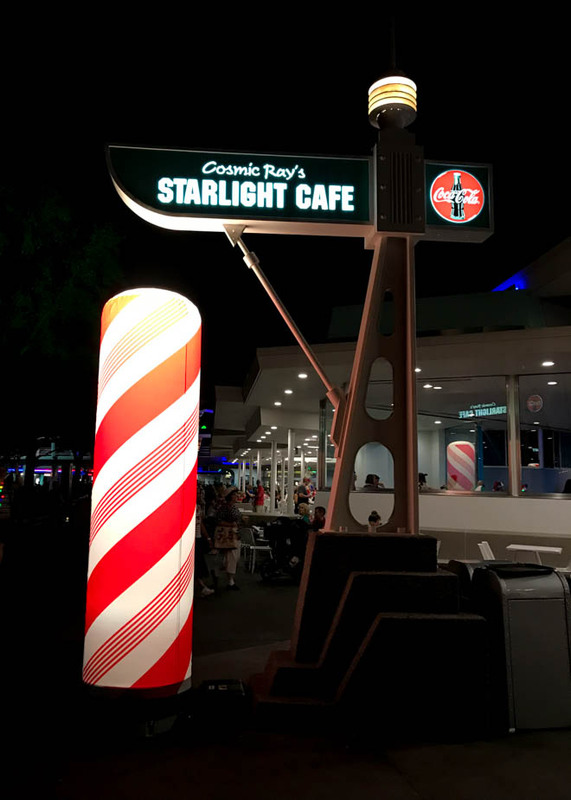 For the 2018 party, there are seven unique holiday treat locations offering a variety of complementary snacks. 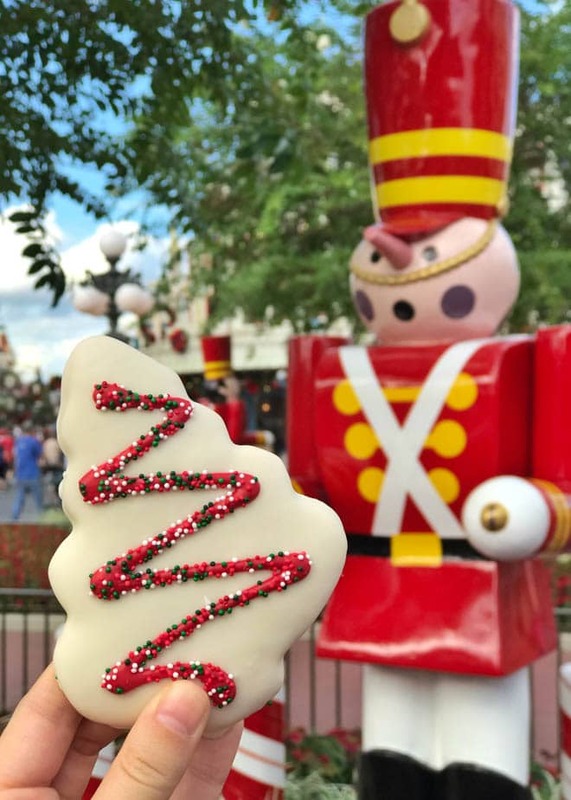 In addition, there are multiple locations throughout the park offering party-exclusive holiday dessert and unique holiday treats. 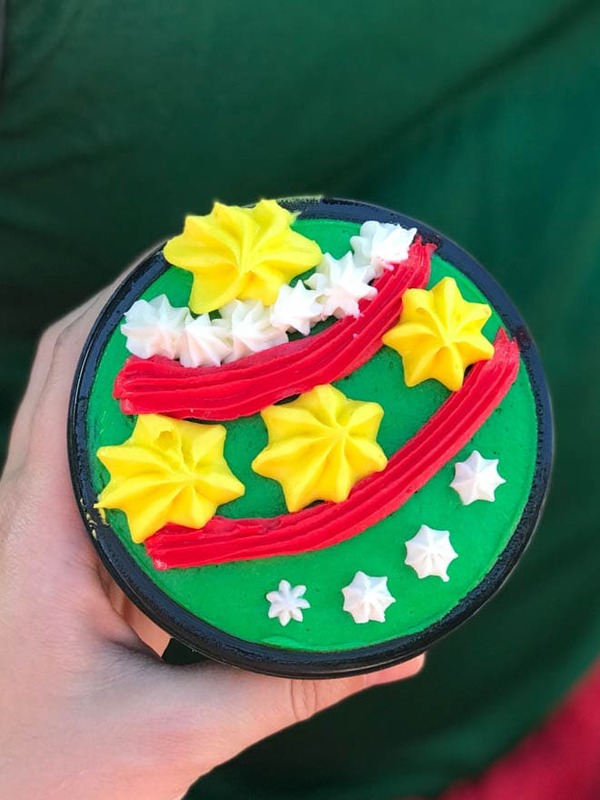 The Ugly Sweater Brownie available for purchase at Casey’s Corner and the Christmas treats available for purchase at Main Street Confectionary are a few of my favorites. 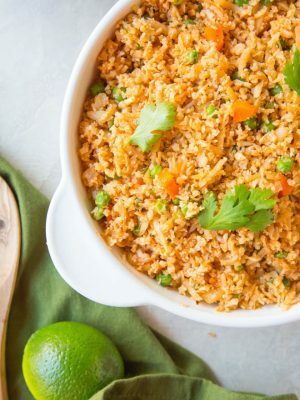 But, if you prefer to stick to the complementary party food, you won’t go wrong. 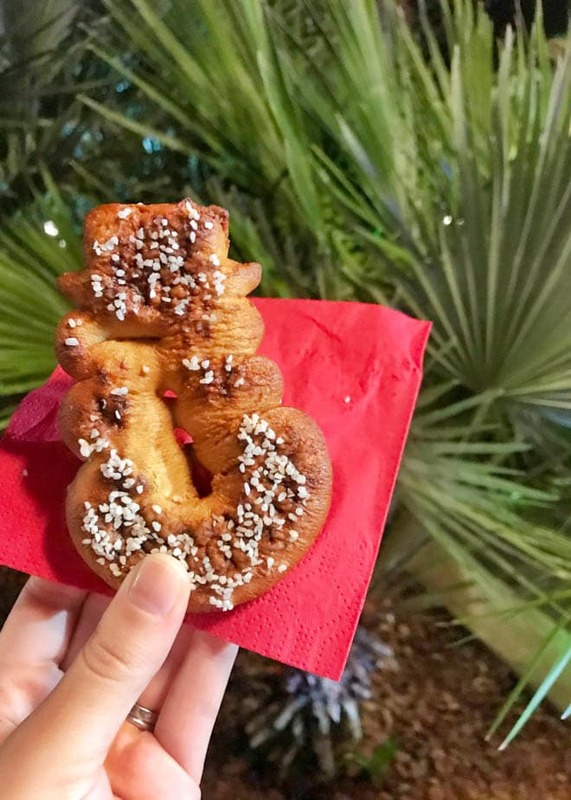 Seven locations offer everything from Christmas cookies to snow cones and snowman pretzels. We personally love the eggnog, apple cider and hot chocolate available too. 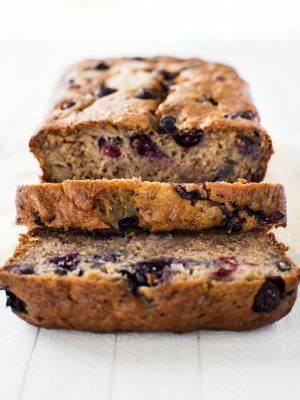 You won’t go hungry so make sure to bring your sweet tooth. 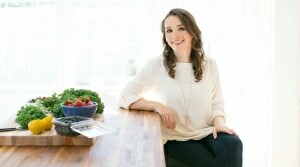 There are also allergy friendly options and healthy alternatives available upon request. 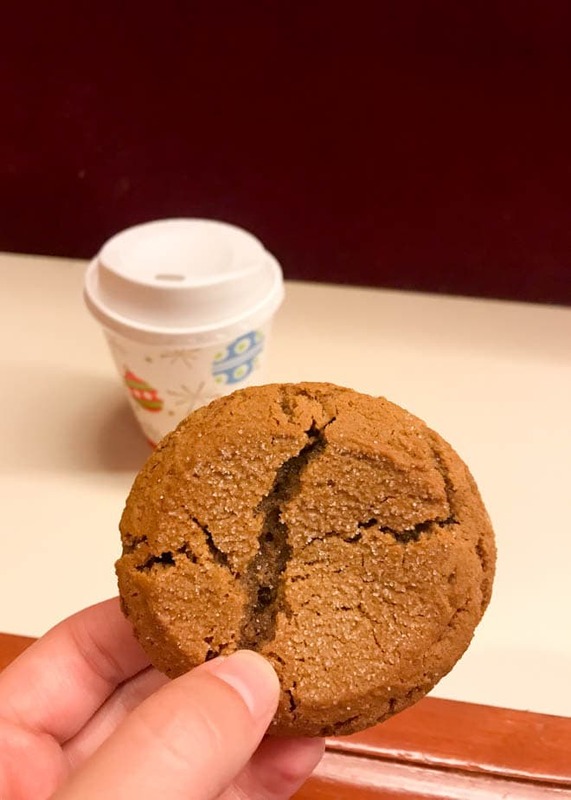 The ginger molasses cookies are my favorite so make sure you don’t miss them. 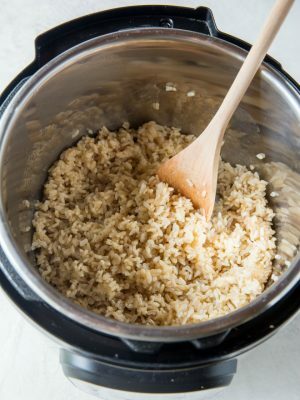 And if you are looking to make them at home, try this recipe. The parades at Walt Disney World are one of the best ways to experience all of my favorite Disney characters at once. 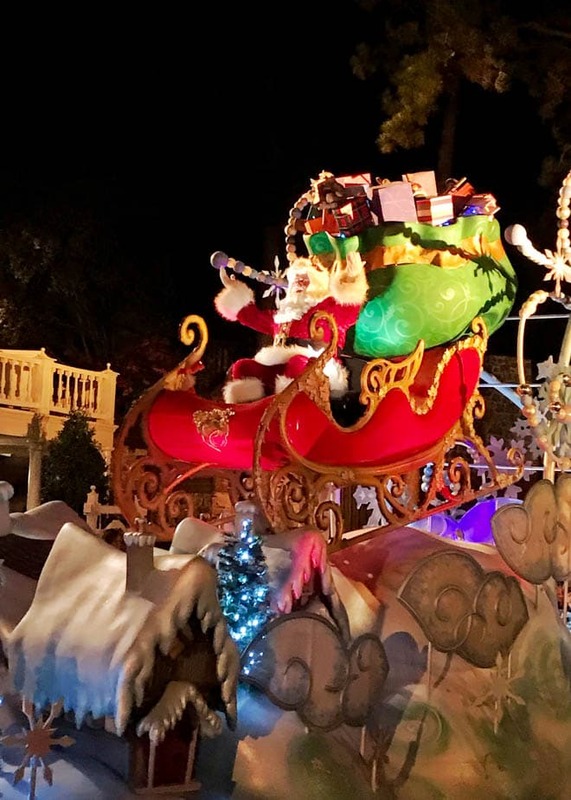 Mickey’s Once Upon a Christmastime Parade happening during the party also includes a special visit from Santa! The parade occurs twice during the party so you can be sure not to miss it. We always like to watch the parade at both times and at different parade locations so we don’t miss any part of it. Mickey and Minnie appear in their holiday attire. 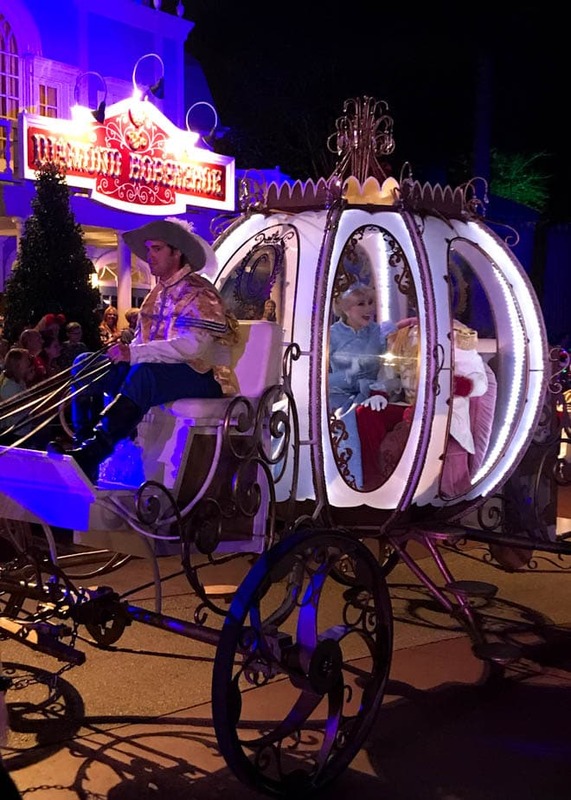 You will also see appearances from Olaf, Cinderella, Beauty and the Beast and more. The very best location for viewing parade at the Magic Kingdom is the area looking directly down Main Street towards the castle. Unfortunately, this area fills up quickly. You may be able to reserve this viewing area as part of Tony’s Most Merriest Town Square Party. Check the event details for more information. Main street is generally the best location for great photos, especially if you want the castle in the background. But because Main Street fills up quickly, we prefer to view the parade at the beginning of the parade route in Frontierland. Our daughter loves the parade but, as a toddler, she generally doesn’t like to stand waiting for too long. We can generally find a good spot in Frontierland about 15 to 20 minutes before the start of the parade (as opposed to waiting longer if reserving space on Main Street). 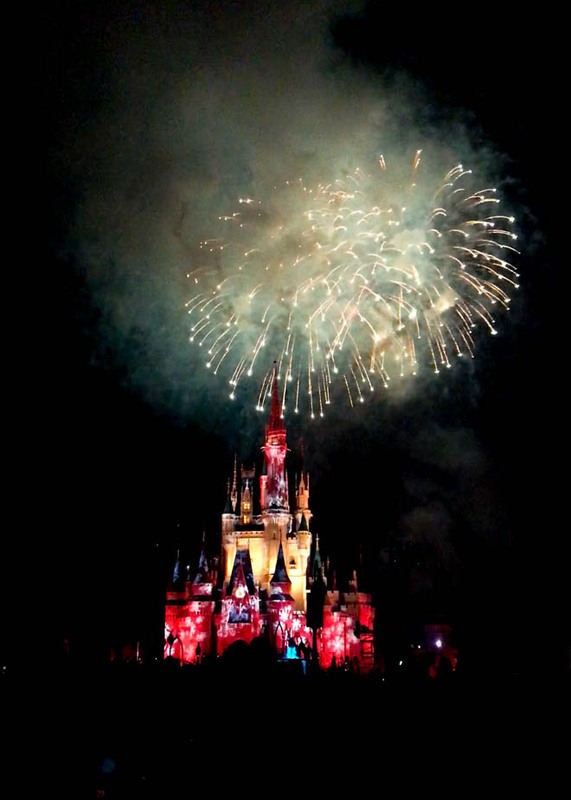 The fireworks are generally the grand finale of any visit to the Magic Kingdom. During the party, the fireworks occur at 10pm, so you still have a few extra time to enjoy the party after the fireworks are over. 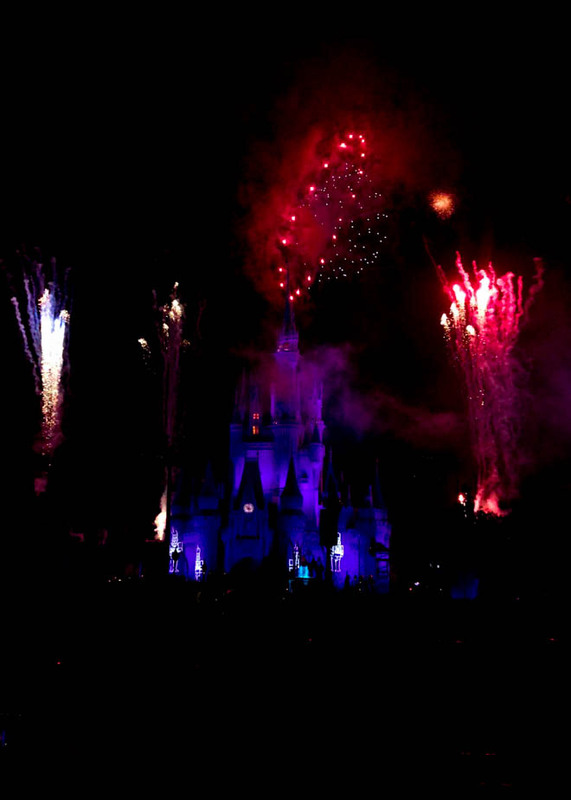 The fireworks show is a special holiday theme that you can only experience during the party. The party begins on November 8th and runs through December 21st. I highly recommend purchasing your tickets as soon as possible because they often sell out. 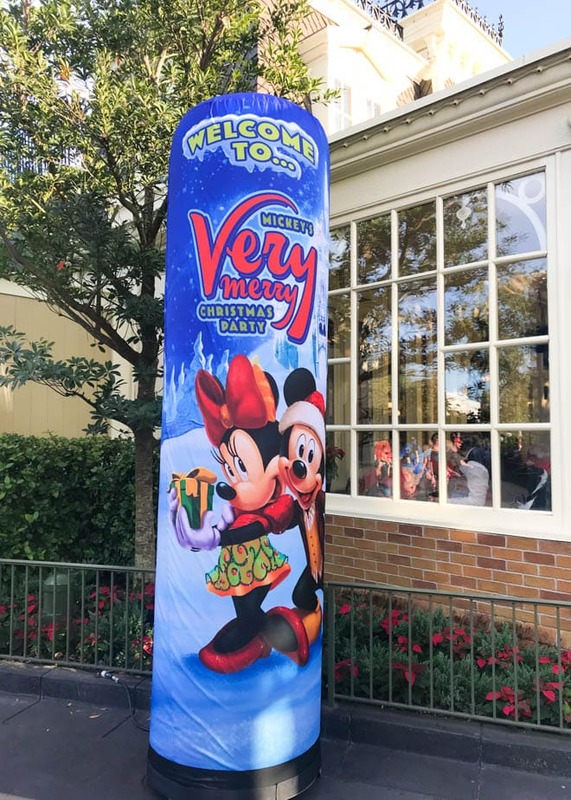 How early can you get into Mickey’s Very Merry Christmas Party? The tickets for the party are good starting at 4pm on the day of the party. I highly recommend arriving early to the party. We like to arrive before it is dark to take photos, visit a few attractions and plan our itinerary for the night. Early entry to the party allows a few extra hours to explore the Magic Kingdom. As passholders who visit often, we arrive around 5pm and stay until the end of the party at midnight. What are the hours for Mickey’s Very Merry Christmas Party? The party starts at 7pm and ends at midnight (although you have access to the park starting at 4pm). 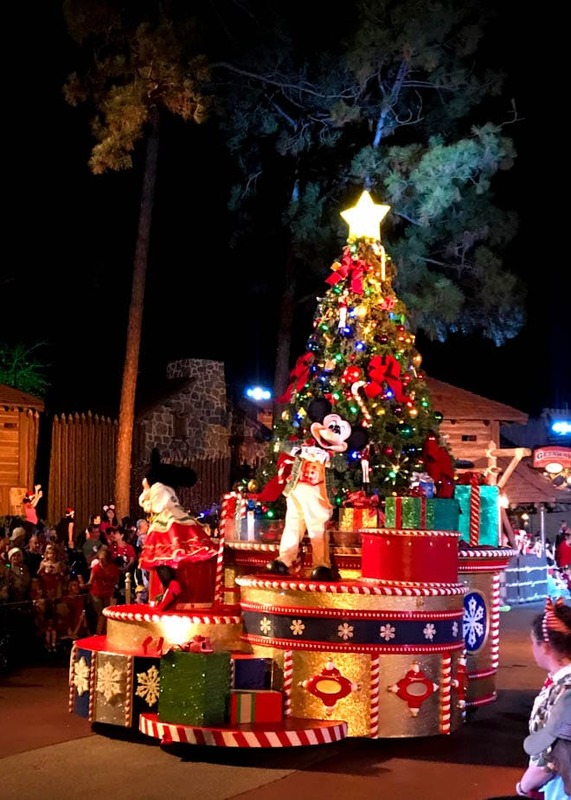 What rides are open during Mickey’s Very Merry Christmas Party? Almost all of the attractions are open during the party. 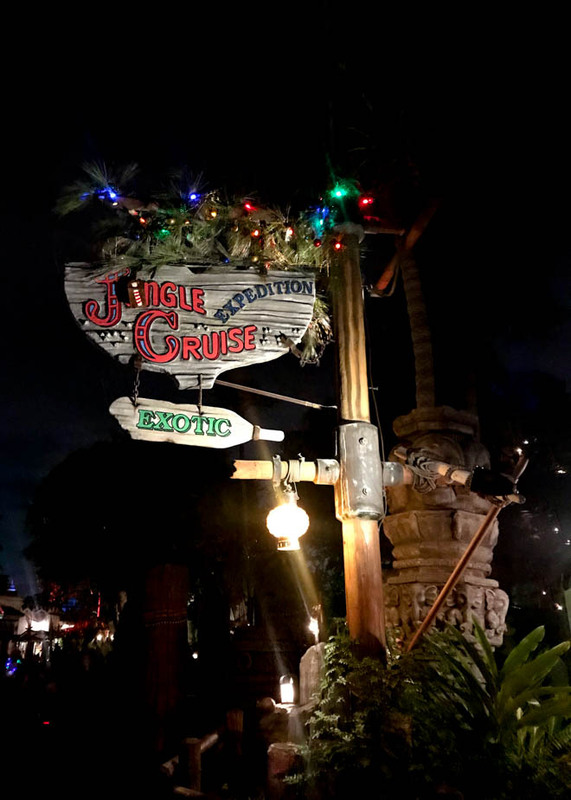 A few rides are also re-imagined with the holiday spirit. These rides include Dumbo, Seven Dwarfs Mine Train, The Jungle Cruise, Big Thunder Mountain Railroad, Splash Mountain and Space Mountain. Make a game plan that includes all of your must-do activities. 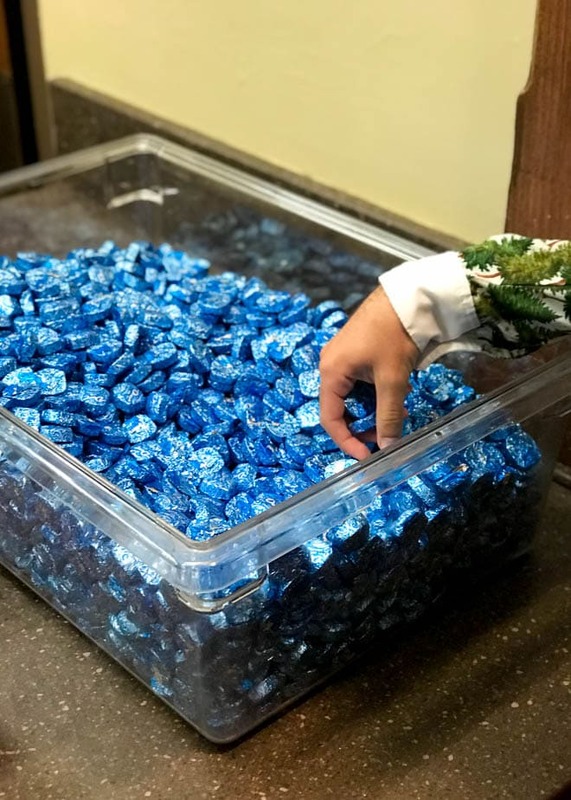 If you would like to purchase one of the special treats available only during the party, check the hours. We missed a few of the special desserts available only during the party because we didn’t realize the locations closed at a certain time. We recommend heading to the locations that close the earliest first to ensure you are able to try the special food items. Same thing goes for the party entertainment. Make sure you know the times so you don’t miss it! The parties are a great excuse to dress up in holiday party attire. We are huge fans of getting into the holiday spirit. 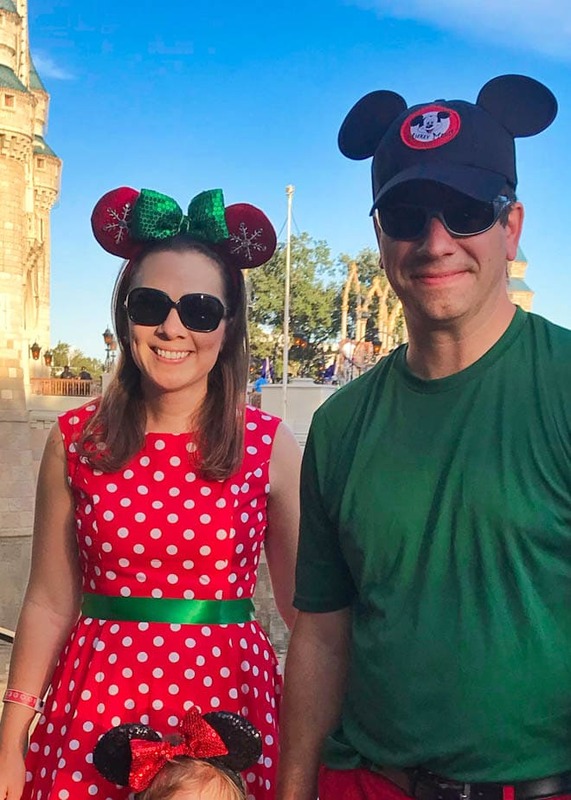 I frequently wear this red and white polka dot dress to Disney and will purchase ears to coordinate with the season or special events. We saw other people in Christmas pjs, ugly sweaters and more. Check the weather and have fun! Visit the light up candy cane markers for the complementary treat locations. Each snack location has a white and red marker to designate where you can find the treats. 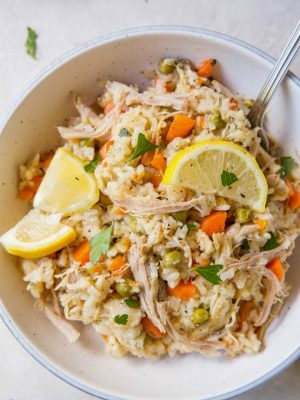 IF YOU VISIT, DON’T FORGET TO TAG @SPOONFULFLAVOR AND USE THE HASHTAG #VeryMerry SO THAT WE CAN FOLLOW ALONG. Christmastime is my favorite time at Walt Disney World. 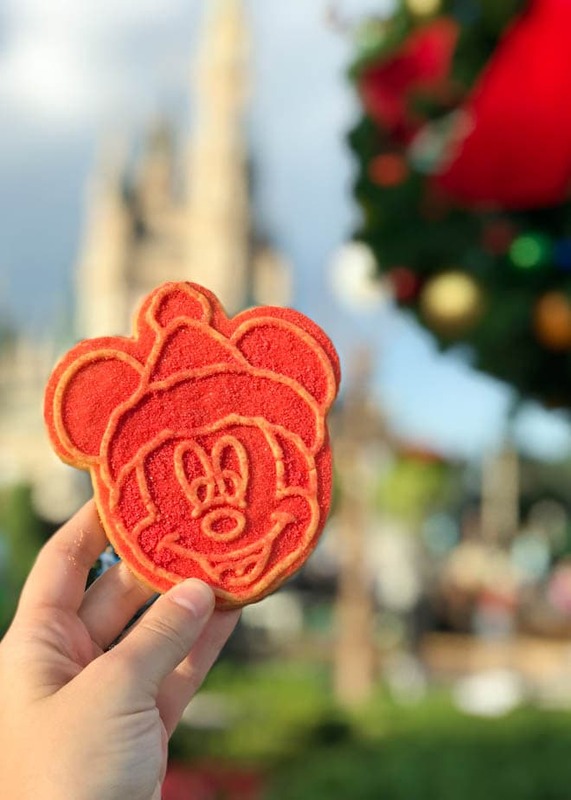 In addition to the holiday happenings at the Magic Kingdom, there are a variety of all-new experiences, festive treats and entertainment at Walt Disney World during the holiday season. Check out the Jingle Bell, Jingle BAM! 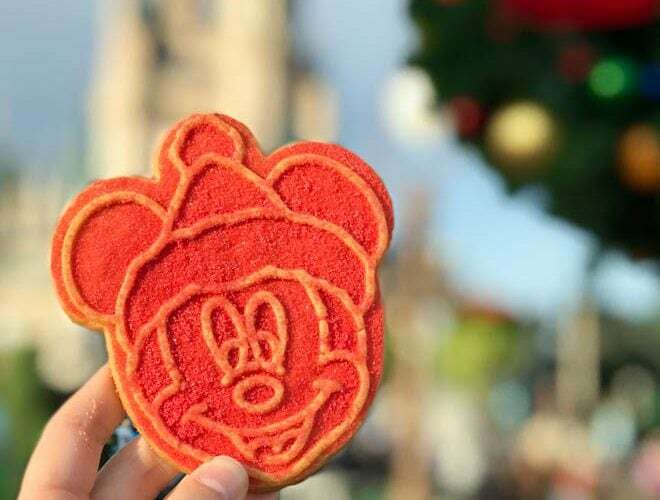 holiday fireworks show at Disney’s Hollywood Studios, explore the Christmas Tree Trail at Disney Springs and take the Cookie Stroll at the Epcot Festival of the Holidays. Don’t forget to follow me on Instagram for live highlights of experiences and events at Walt Disney World. 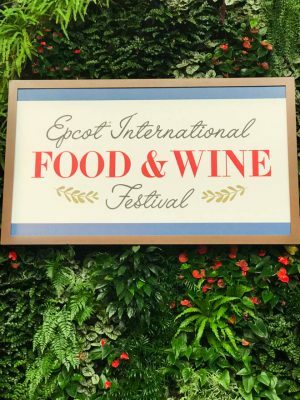 A huge thanks to Walt Disney World for hosting me at this event! Stay tuned for more Disney World posts, tips and events. 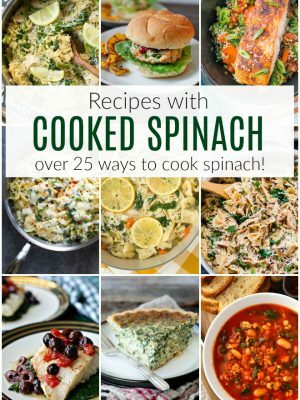 All of the Christmas treats look amazing and I love your dress! The treats are the best part. Disney really knows how to throw a party!